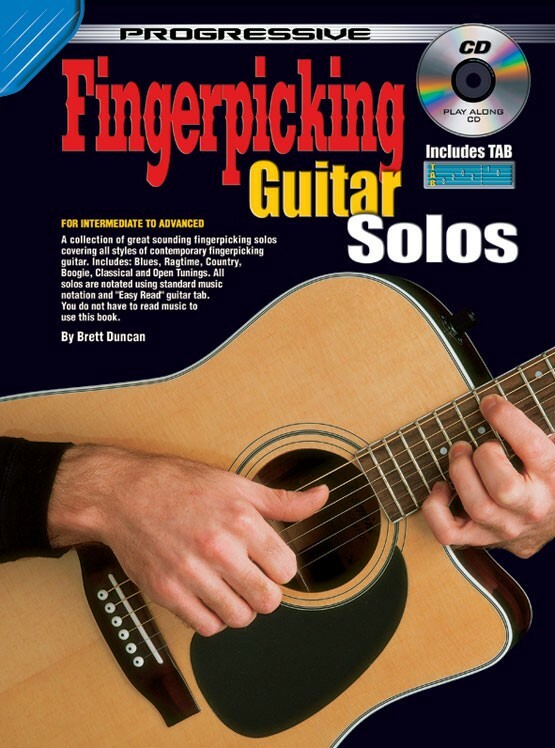 A collection of great sounding fingerpicking guitar solos covering all styles of contemporary fingerpicking guitar, including blues, ragtime, country, boogie, classical and open tunings. All solos are notated using standard music notation and tablature. 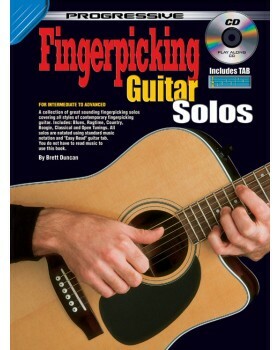 At the beginning of each solo in this book, chord diagrams are given to illustrate exactly how each part of the solo must be fingered with the left hand.